When was the last time you analyzed the inbound links pointing to your blog? Google is looking at your link profile, so you should be too! If your backlink profile looks unnatural Google will penalize your blog which in turn harms your search engine ranking. This is why it’s important to identify and remove broken, old or poor quality links from your blog’s profile. Backlink analysis is important for SEO, but the process can be pretty time-consuming. Fortunately, there is a tool called Ahrefs that allows you to analyze your link profile more efficiently. And, although it’s quite a technical tool, we’re good at explaining technical topics in a non-technical way. For this review, we have picked out seven areas that you can analyze and improve with Ahrefs. The backlink profile is located at the Site Explorer section and it’s probably the most valuable feature of Ahrefs. It lets you run an analysis of the links to your website from external sites. You can look at the link analysis for the previous week, month, or year. Tracking these links is important because it shows you which marketing efforts are bringing you results. When you publish new content you want to know if it’s getting you backlinks, because if it’s not, then all the hard work you’ve put into it didn’t really pay off. 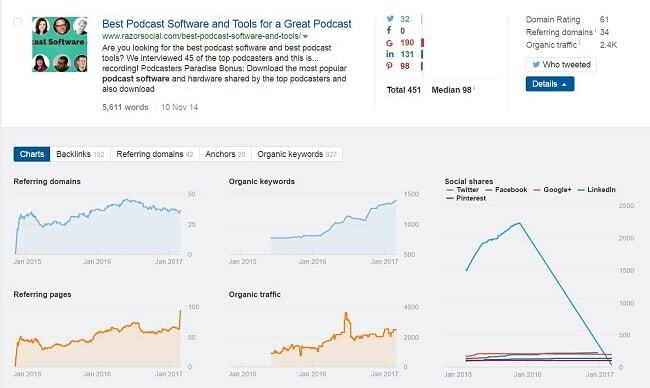 Next to a detailed breakdown of where all your links are coming from, you can also see the value of those links through Domain Rating, URL Rating, External, and Social. DR or domain rating shows you how strong the backlink profile of a target website is on a scale from 1 to 100. Backlinks from websites with high DR are always more valuable. UR or URL rating is in direct correlation with Google rankings and pages with high UR usually get better rankings in search engines. External shows you the number of external backlinks on a given page. Social shows you the number of times a certain page or post has been shared on Facebook, Google+ and LinkedIn. Server is down – If the website that linked to you is not available at the time you’re running a report, there’s no way of identifying the link. Link removed – Websites can remove the page the link is on, or just remove the link. Homepage issue – A lot of websites have a summary of their latest content on their home page, and if the link to your article is included here, then it will appear that the link is gone when the website replaces this content with more recent articles. With Ahrefs you can even set up alerts that notify you of new and lost backlinks, as well as web mentions and relevant keywords rankings. New and lost backlink alerts can be very useful for new blog posts or for your website. It is also a great tool to monitor how your competition is doing when it comes to link building. NoFollow – These links pretty much have no value to your website in terms of SEO. Why? Because they have the ‘no-follow’ tag added to them meaning that the publisher told Google not to follow that specific link. For example, most links from blog comments are NoFollow because too many spammers were using comments to get links. DoFollow – These are the truly valuable links that pass on link juice to your website. Redirect – Links are redirected from one page to another. For example, if you have an old post and a new post on the same topic, you may redirect the old link to the new one. Action – If the report shows that you are losing more links than you are gaining, you need to analyze the links you are losing to see if there’s a cause for concern. Maybe those are the links from someone’s home page that are now within blog posts, in which case it’s nothing to worry about. If they are valid links, you could reach out to the website owner to see if they can link back to your site again. If you are not getting enough new links, you will need to revisit your content strategy and look at how you are promoting your content. Another great Ahrefs feature is the possibility to identify broken backlinks. Basically, this will show you if an external site is linking to a page on your site that no longer exists. 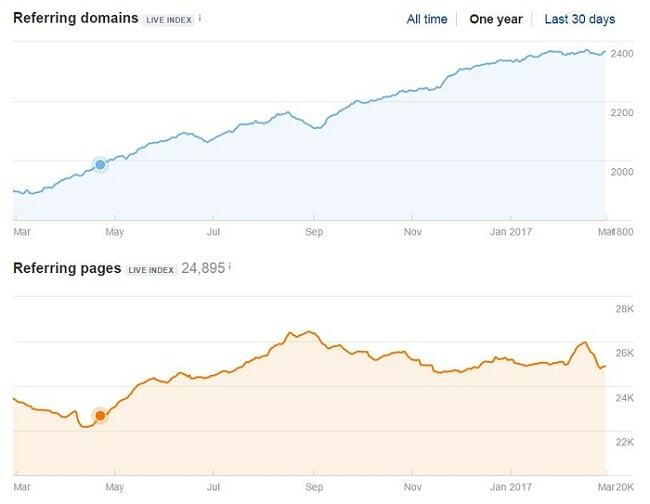 With the help of Ahrefs, you can see where these broken backlinks come from and what pages they link to. Fixing this (i.e. by redirecting the URL) will help you get the valuable traffic that you have been losing so far due to broken backlinks. The only negative side to this otherwise great tool is that the information you get is not always up to date. So even if you have fixed the problem of broken backlinks they may not appear fixed in Ahrefs report. The number of backlinks you got for certain pages or posts on your website is a piece of information every social media marketer and content creator should have. It helps you determine what content works best for your target audience. With Ahrefs you can get that information with just one click. The pages are ranked based on the number of DoFollow backlinks and clicking on that number will get you a detailed backlinks report. So, for each page of your website you are able to see where the backlinks are coming from and how valuable those pages are (in terms of DR, UR and Social as we explained earlier). In the old days of SEO, it was really important that the links to your site included the exact keywords you wanted to rank for with that article. This worked and it helped rank your post or your website for those terms. But Google doesn’t like this anymore. It is looking for more natural linking. If you have a blog post and it was linked to by 100 different sites that all used the same anchor text (the text that points to the page), this would not appear natural. If you look at the overall anchor text pattern from links to your site, you should see a high proportion of these links using your domain name and possibly your own name. Google will expect this as well as a lot of different anchor texts for different posts. As you can see, there are a lot of links for ‘razorsocial’ or ‘razor social’ and ‘ian cleary’, which is as expected. There are also a lot of links for ‘social media tools’, but then there are hundreds of other different anchor texts for the different posts. That’s what’s great about a blog post – all those natural links you will get! Action: If you have an inappropriate anchor text distribution you may need to reach out to the sites linking to you and ask them to remove links (if they are low-quality sites) or, alternatively, to update the links with different anchor text. This is a very useful Ahrefs functionality that shows you a graph of how many domains and pages are linking to your website. Ideally, you want to see continuous growth in the number of referring domains and pages. Action: If you’re not seeing an increase in these numbers, the problem will typically be in your content and/or your network. Write better content and get to know the bloggers in your niche so they start linking to you. Bonus tip: If at any point you discover low quality or suspicious domains linking to your pages, you should take care of them because they can really hurt your Google rankings due to the Penguin algorithm. What you want to do is create a disavow file that you can later upload to Google Disavow Tool located at the Search Console. Through Ahrefs this process is simplified. You mark the domains you think or know are low quality and just click Disavow Domains. After you have marked all the domains, a complete list will be created on your dashboard. You can then export it as a .txt file and upload to Google’s Disavow tool. Content Explorer is a great social insight tool you get with Ahrefs. Anyone who has ever written a blog or an article knows how important it is to find good, relevant content when generating ideas and doing research. Not only will you get great ideas through keywords, you’ll also get a chance to see what your competitors are up to. Here’s how it works. You enter the keyword in the search box and you will get a list of the most popular content for that keyword sorted by relevance, together with information about domain rating, referring domains, organic traffic, and the number of shares on social media platforms for each of the results. For every page listed on this report, you can also see the number of backlinks it has and where they come from. You can also see the number of anchors, what they are, and even the organic keywords that this content is ranking for in search. You can get a lot of useful information with Content Explorer and it’s really very easy to use. There are a lot of tools you can use when searching for new keyword ideas and search volumes, but Ahrefs has conveniently added the Keyword Explorer so that you have everything you need when collecting data for your next article or when you just want to see what your competition is doing. As with any other similar tool, you enter comma separated keywords or phrases and get the results. You can enter up to 500 keywords and get search volumes for different countries. You also have the option to create up to 50 different keyword lists that you can get back to whenever you want. A useful piece of information you’ll get here is Keyword Difficulty. This will show you how hard it will be to rank on the first page of the search engine results for a specific keyword in terms of how many backlinks you’ll need. SERP overview or Search Engine Results Page overview will show you the first 10 organic results for the given keyword alongside with the most important SEO metrics. This information is really useful for competitive analysis. If you want to benchmark against your competitors, Ahrefs offers some great tools for that as well. One of them is Domain Comparison tool that allows you to compare backlink profiles for up to 5 domains with all the important metrics like Domain Rating, Referring Domains, Backlinks, etc. This is a great way to see where your backlink profile is stronger and where you need to put more work in. With Link Intersect tool you can see the sites that link to your competitors but not to you. You can add up to 10 URLs and get the information about where their backlinks come from. This will show you as many as 160 domains that are not linking to you. What you can get from this are some great ideas where your content could appear next if you put some work into it. When you need to create multiple backlink reports, you can use Quick Batch Analysis that allows you to get the full backlink profile for up to 200 URLs. You just enter the URLs you want to check and click start. Ahrefs then does all the work for you with useful data presented in one table that you can easily export. 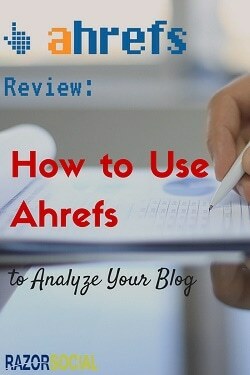 Ahrefs is a powerful tool to help you analyze your blog as well as your competitors. It offers a 2-week free trial that you can use to test it out and see how this tool works for you. Have you used Ahrefs before? Will you give it a try now?